“Monster rock band” LUNA SEA left an indelible impression on the world of Japanese music, boasting a unique presence even during their Indies era and continuing to make legends at a furious pace after their major debut. They are also renowned for their huge impact on the next generation of musicians, who have been influenced by LUNA SEA’s overwhelming and awe-inspiring creativity. LUNA SEA was formed in May 1989, with RYUICHI (vocals), SUGIZO (guitar and violin), INORAN (guitar), J (bass), and Shinya (drums). They began activities based in the Yokohama/Machida area, then released their first album LUNA SEA in 1991 from Exstasy Records. In 1992, they made their major label debut with the album IMAGE (Universal Music), followed by their first single BELIEVE in 1993. That summer, LUNA SEA attracted even more attention with their wildly successful first show at the Nippon Budokan. In 1994, LUNA SEA’s third single ROSIER brought the group their first appearance on the Oricon Chart, reaching the 3 position. It proved to be an enduring hit, catapulting the band to the top of the music scene. Afterwards, LUNA SEA’s successive singles, including TRUE BLUE, DESIRE, and END OF SORROW, all reached the top of the charts. Their energetic live concerts, a holdover from their Indies days, gained them the support of wildly enthusiastic fans, especially teenagers. In 1995, they played their first show at Tokyo Dome, firmly fixing their image as a band capable of mobilizing 50,000 people. In 1997, LUNA SEA announced that they would be taking a year-long break to allow the members to concentrate on their solo work. They heralded their return to the music scene in 1998 with the single STORM, showcasing a brand new rock style with a pop flavor that was informed by their previous melodious, epic band sound. They broke even more ground with the magnificent ballad I for You, which was used as the theme song for a television series. That year, the band continued establishing themselves as some of the top artists in Japan through a successful large-scale nationwide tour, including two concerts at Tokyo Dome. LUNA SEA expanded into Asia in 1999, playing shows in Hong Kong, Taipei, and Shanghai and creating a strong reputation there. In May of that year, they celebrated their tenth anniversary as a band with the historical concert “CAPACITY∞” at a special venue in Odaiba that drew 100,000 fans. Several days before the show, the set was destroyed by strong winds, and people have never stopped talking about the sublime performance the band put on with the ruined stage as a backdrop. As LUNA SEA continued their dash to the very top of the Japanese rock world, accomplishing many things along the way, they suddenly announced in November 2000 that they would “draw the curtain” on their time as a band. The curtain dropped on LUNA SEA’s activities with two shows at Tokyo Dome on December 26 and 27, 2000, bringing an indefinite halt to their activities as a group. At the end of the year, PERIOD, a collection of LUNA SEA’s greatest hits as chosen by their fans (referred to as “Slaves”) went on sale. It reached 1 on the Oricon Chart, creating yet another legend. When the world entered a new century in 2001, all five members embarked on their own musical journeys of the highest caliber and originality. 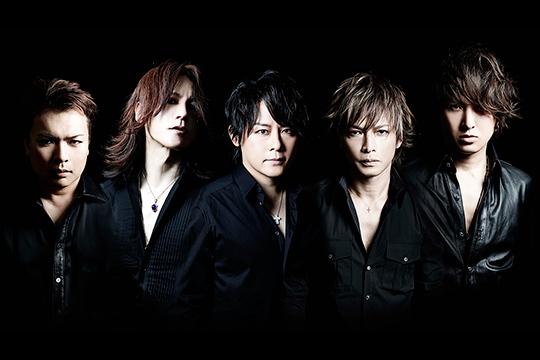 LUNA SEA celebrated twenty years since its formation in 2009.